Image caption Beijing's vast internet censorship has been dubbed the "great firewall of China"
China has blocked internet references to retired leader Jiang Zemin after rumours circulated that he had died. Jiang also means river and internet searches for that word have returned a warning the search is illegal. Rumours that 84-year-old Jiang Zemin was dead or dying resurfaced after he failed to appear at a key Communist Party event on Friday. The Xinhua state news agency dismissed such reports as "pure rumour", citing "authoritative sources". The censorship has prompted people to create cryptic postings about the man who led China for a dozen years. Web censors have deleted domestic blog posts about Mr Jiang, blocked foreign media reports about his state of health and removed references to him from the country's Weibo microblogging service. Searches for "Jiang Zemin" in Chinese or simply "Jiang" were met with warnings on Sina Corp's popular Twitter-like service saying the search was illegal. In an attempt to circumvent the censors, online users are posting entries with English variations and alternative names. Though there have been no reports about Jiang Zemin on mainland China, media sources in Hong Kong reported his death on Wednesday night, citing unidentified sources. Some unconfirmed internet postings suggest that Mr Jiang is currently being treated at a military hospital in Beijing. The government's press office, the State Council Information Office, has not responded to questions about Mr Jiang, who transferred power to President Hu Jintao in 2003. Mr Jiang has been widely seen as playing an important role in an expected change in party leadership next year. 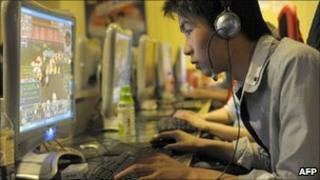 Beijing operates vast internet censorship, dubbed the "great firewall of China" and search terms or websites deemed sensitive by the government are routinely blocked.